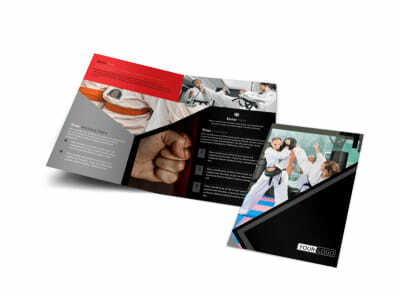 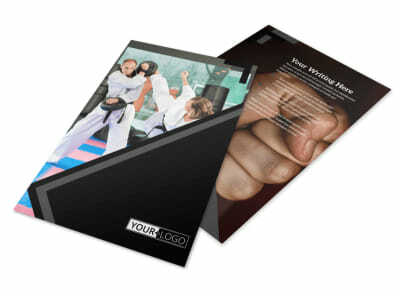 Customize our Martial Arts Studio Brochure Template and more! 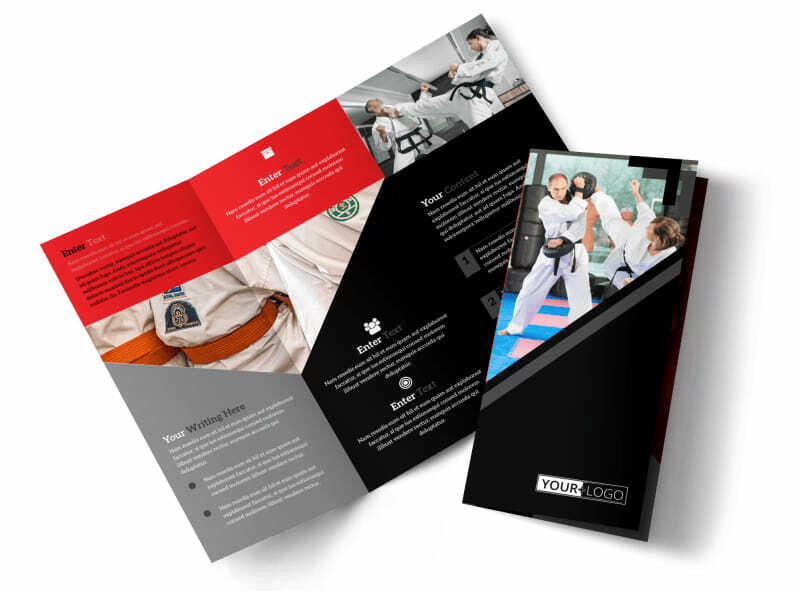 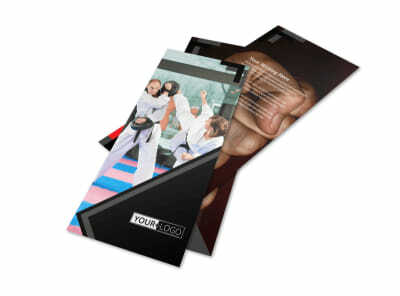 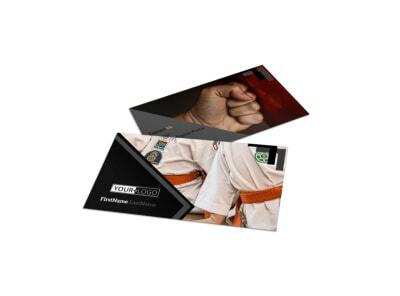 Highlight the classes and training your martial arts studio offers to your community with martial arts studio brochures. 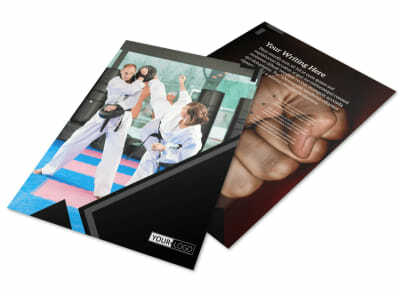 Use our online editor to customize either a bifold or trifold template with images of students hard at work practicing this ancient art form, and include compelling text detailing the classes that are available, including information such as dates, times, age requirements, and enrollment fees. 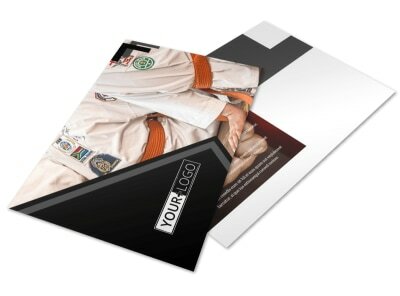 Start designing this valuable marketing tool now.